A pension office in Kaliningrad, one of the World Cup host cities. (c) Igor Zarembo / RIA Novosti. All rights reserved.Increasing the retirement age in Russia is quickly becoming a reality. On 14 June, as Vladimir Putin opened the FIFA World Cup in Moscow, Prime Minister Dmitry Medvedev announced the retirement age rise as if it was a done deal. Of course, the legislation still has to go through Russian parliament, but given United Russia’s parliamentary majority, the government is unlikely to face any problems. In the end, the government has chosen most brutal version of the reform — the one which the Russian Finance Ministry insisted on. For men, the pension age will be increased to 65 (up from 60), and for women – to 63, an increase of eight (!) years. The age at which citizens can receive a basic state pension, i.e. if you don’t have the minimum number of years worked, is also going up: from 65 to 70 for men, and from 60 to 68 for women. For employees in the healthcare and education sectors, as well as residents of the Far North, the conditions for taking an early pension will change. Significantly, the situation with early pensions for people in the military, Interior Ministry, National Guard and prison service won’t change — at least, in the current version of the pension reform. The authorities prepared well for this. Before the presidential elections, the population was served only good news — for instance, a new (and very generous) benefit for families when they give birth to their first child. If the pension age increase was discussed at all, then only as something abstract and theoretical. But straight after the March presidential elections, it became a necessary move: the discussion went from being about whether the pension age should be raised at all, to the details of this now compulsory policy. Finally, Medvedev’s announcement came in June, the holiday period, and during the opening of the Football World Cup, when Russia’s big cities are flooded with law enforcement and there’s a strict ban on public meetings in place. As ever, the Russian authorities pass anti-social laws as if they were carrying out a police operation. Supporters of raising the pension age claim that there’s no other way of closing the hole in Russia’s Pension Fund, which is now being covered by subsidies from the federal budget. But the conceptual question here is whether these subsidies should be considered a problem at all. Why shouldn’t oil and gas revenues accumulated by Russia’s federal budget be spent on pensions? Surely that expenditure line can’t be considered a less legitimate expenditure than the army, police and civil service, which the Russian federal government spends trillions of roubles on every year? The deficit in Russia’s Pension Fund is also connected to the huge number of workers in the grey economy. In effect, the lion’s share of unpaid pension contributions turns into a profit for employers. Why should business owners have an advantage over workers and pensioners? Instead of raising the pension age, it makes more sense to develop a real strategy to bring wages out of Russia’s grey sector. 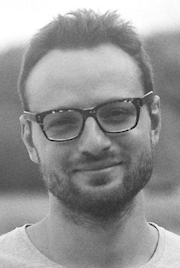 According to a recent survey by Romir, 92% of people surveyed did not support this reform. 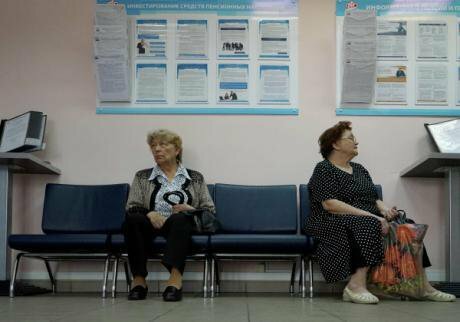 This isn’t surprising: after all, 43% of Russian men simply do not live past 65, the new pension age. They are being told to basically work until they die — a practice more out of the 19th century than the modern era of developed social states. Yes, the current pension age in Russia is one of the lowest in the world, but it’s pointless to compare numbers without demographic factors. Moreover, it’s unclear why Russia should follow the model of a country with a high pension age as if this was in and of itself a virtue, and not a flaw of social welfare systems in other states. In the US, for example, labour legislation does not provide annual paid leave — is it worth copying this too? As you can see, there’s enough arguments against raising the pension age. But why is the Russian government opting for such an unpopular move? To answer this, we have to analyse the dynamics of federal expenditure. In comparison with 2013, Russia’s last pre-crisis year, in 2017 federal budget expenditure on the bureaucracy rose by 37% in nominal value, on national defence – by 36%. Meanwhile, federal expenditure on education reduced by 9%, and healthcare – by 12% (if you correct for inflation, this reduction is even larger). Expenditure on pensions rose by 32%, which is comparable with the “priority sectors”, defence and bureaucracy (even expenditure on other social benefits rose even less, by 14%). At the start of Russia's 2011-2012 protest wave, Igor Kholmanskikh, a foreman at a major manufacturing plant, became a key figure in the symbolic battle between regional working class and urban middle class that played out during those protests — with Vladimir Putin as the protector of the former. Source: Youtube / Vesti.In other words, the subsidies covering the Russian Pension Fund’s deficit are the last hurdle on the path to finally transform Russia’s federal state budget from a socially oriented budget to a military-bureaucratic one. The federal centre is simply refusing to carry the burden of any social expenditure, transferring that job to the regions. This has already happened with education and healthcare, which has led to a sudden deterioration of both sectors. Only pensions are left, and the Russian government has now gone for them, having waited for the start of the new political cycle. The care with which the Russian authorities have prepared in order to push this reform through is evidence of how nervous they are. Russia’s leadership is afraid of social protests because it has nothing to respond to them with. 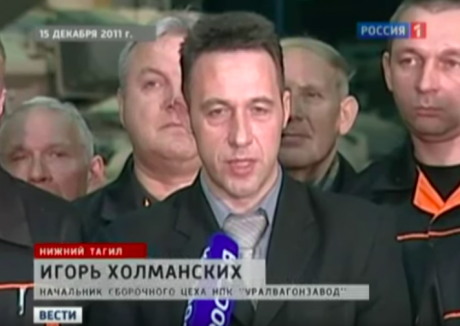 In 2011, at the start of Russia’s winter protest wave, Igor Kholmanskikh, a foreman at the huge Uralvagonzavod factory, promised on television to use his men to “return order” to Russia’s streets. But when the men from Uralvagonzavod come out onto the streets in defence of their pensions in 2018, they can’t be threatened with, well, themselves. A broad mobilisation could definitely lead to a real change in the nature of this reform. The Confederation of Labour of Russia, which has launched a civic campaign against the rising pension age, is becoming the centre for this grassroots struggle. Their petition on Change.org already has 800,000 signatures. Right now, protest — in any form — can genuinely influence the situation.